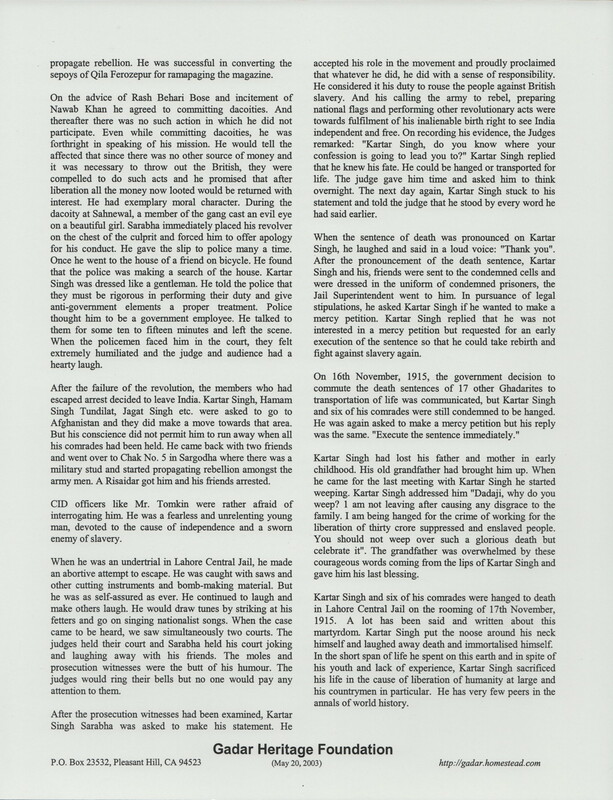 Two-page document on the life of Kartar Singh Sarabha written by Baba Sohan Singh Bhakna and published by the Gadar Heritage Foundation in 2003. 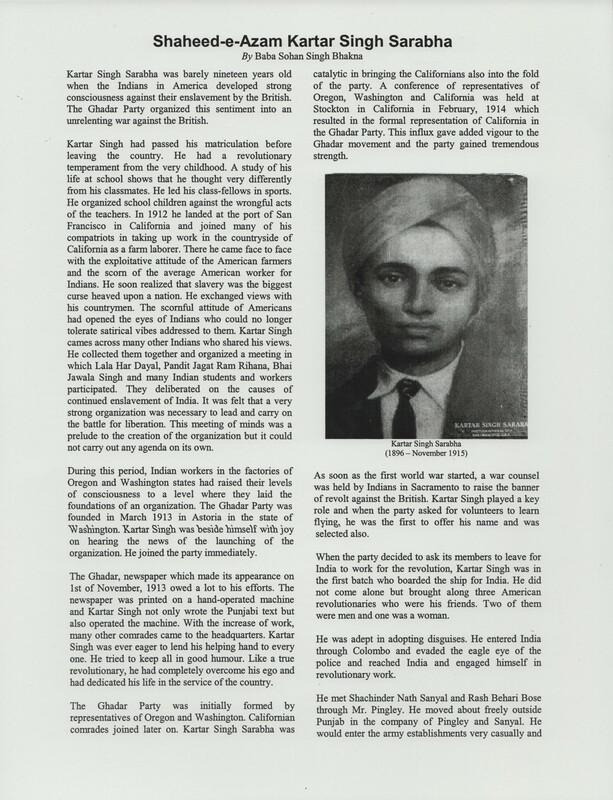 Bhakna narrates the life of Kartar Singh Sarabha, a Ghadar Party founder, who migrated to the U.S. in 1912. 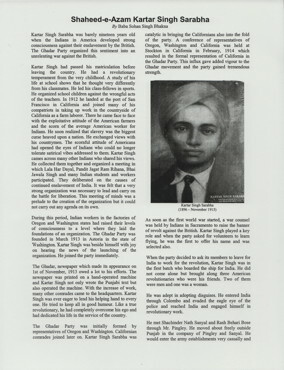 The document details the formation of the Ghadar Party, from its origins in Oregon and Washington. Bhakna delves into the events of Sarabha's life after leaving the U.S., from his migration back to India surreptitiously through Colombo to his participation in dacoities to raise funds for revolution, and his eventual arrest and execution.